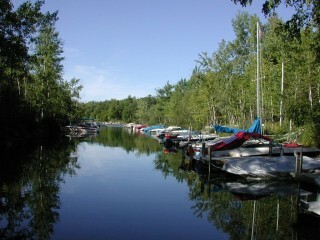 On the southeast part of the Island there is a very nice marina with floating docks. This marina operation is adjacent to the Long Beach Marina. The marina is currently equipped with 64 slips, and can be expanded to approximately 130 slips. 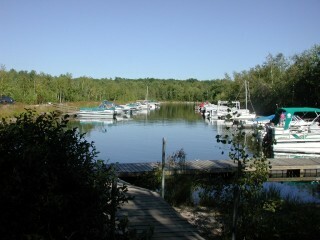 On the west side of the Island by Quail Circle there is an informal boat docking area with a capacity of 78 boats. 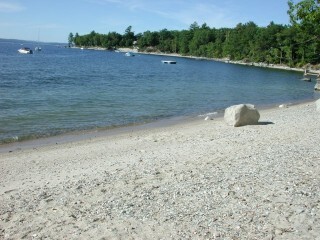 There are thirteen beaches on the Island. The largest beach has the name of Long Beach. On the map of the Island the other beaches on the Island have a number instead of a name. 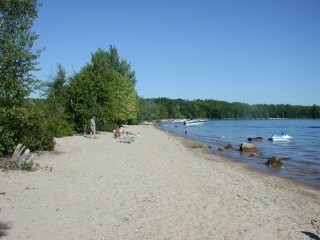 Most of the beaches are developed, having a sandy beach as shown below. 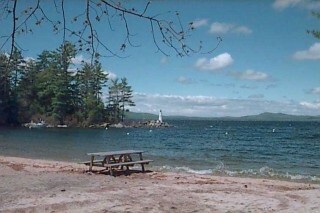 Some of the beaches are undeveloped and provide fun rustic character. One of numbered beaches, Beach #6, has the informal name of Cocktail Beach. 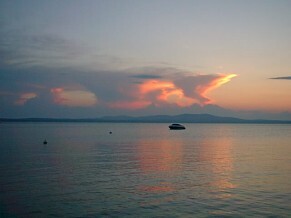 Being on the western side of the Island, it has the advantage of fantastic sunset views.